Having a decent light source in a state of emergency or when simply going camping is pretty important but there are always issues with lanterns and torches, either with their size and weight or their battery life. 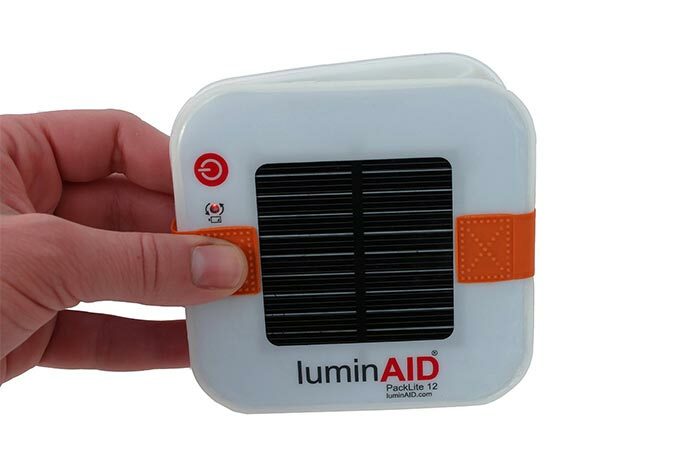 Luckily, there is now a compact light which is solar powered and weighs next to nothing, the LuminAID PackLite 12. What this lantern offers is far better than most other lanterns currently on the market and that is reliability. 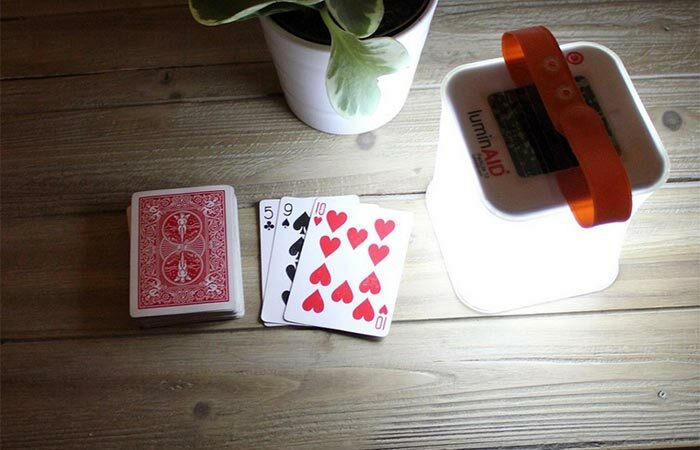 Seemingly quite small, the LuminAID PackLite 12 inflates to a perfect size and turns into a portable lantern powerful enough to light up your tent or a large room in your house in case of a blackout. This lantern offers three different modes of operation which are activated by pressing the red button. It has a flashing mode for emergency situations and high, medium and low lighting settings. Depending on which setting you use, the battery life will get depleted faster/slower. With the high setting, your battery can last up to 6 hours, medium for 8 hours, low for 12 hours and flashing mode can run for about 32 hours. Pretty impressive for a lantern which measures 4″ x 4″ x 4″ when inflated. The battery life shouldn’t worry you at all because, like it was mentioned before, the battery is charged through a high efficiency monocrystalline solar panel. After keeping the lantern in direct sunlight for 7 hours, the lantern will be fully charged and the 12 extremely bright LED lights will be ready to go for another cycle of lighting. 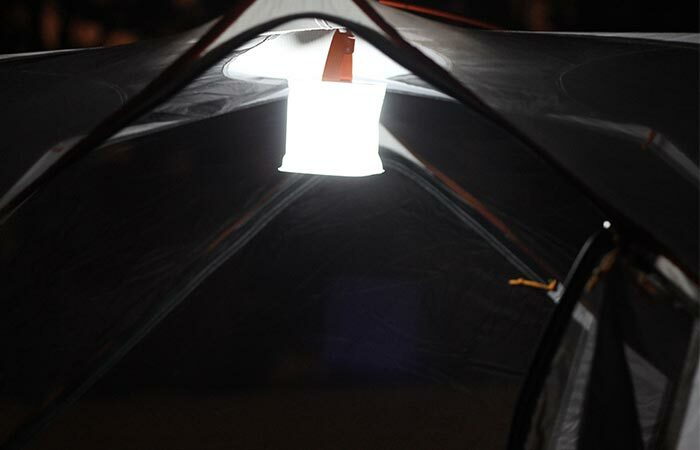 Another amazing thing about this lantern is that in contains absolutely no PVC and lead and it is 100% waterproof. It can even float on water. The adjustable strap will make carrying it very easy because you can even stow it on your backpack and charge it on the go. The fact that it weighs only 3.5 oz will make storage and carrying even more simple.